So… you’ve taken our scientific test and found out that the baby you are wearing is actually… a toddler. The first step is admitting you are wearing a toddler. It’s a big deal. Congratulate yourself. 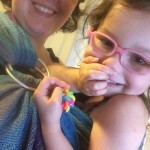 BUT… don’t pack up the babywearing just yet! Lori, our VP of Education is here to teach us the toddler-wearing ways!! 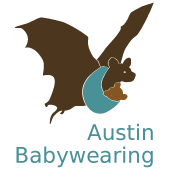 We here at BWI Austin get questions about toddler wearing all the time, especially as more and more companies release toddler carriers. Such as Do I need a toddler carrier? If so, how do I know? 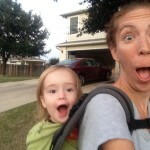 What types of carriers are good for toddlers? We can’t tell you when your kid is too big to be carried. 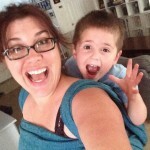 There are a lot of situations which might necessitate carrying a bigger kid. For my family, toddlerwearing comes in handy when our older boy isn’t feeling well, needs extra snuggles or has had enough walking on whatever family adventure we are on. Also, sometimes it’s just safer to have them in a carrier rather than walking by themselves, especially on some of the rocky trails of hill country! How long to wear your child is a family decision. 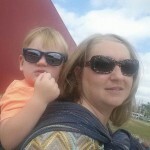 We can tell you that many of us carry our kiddos well into their preschool years and beyond when it’s needed. 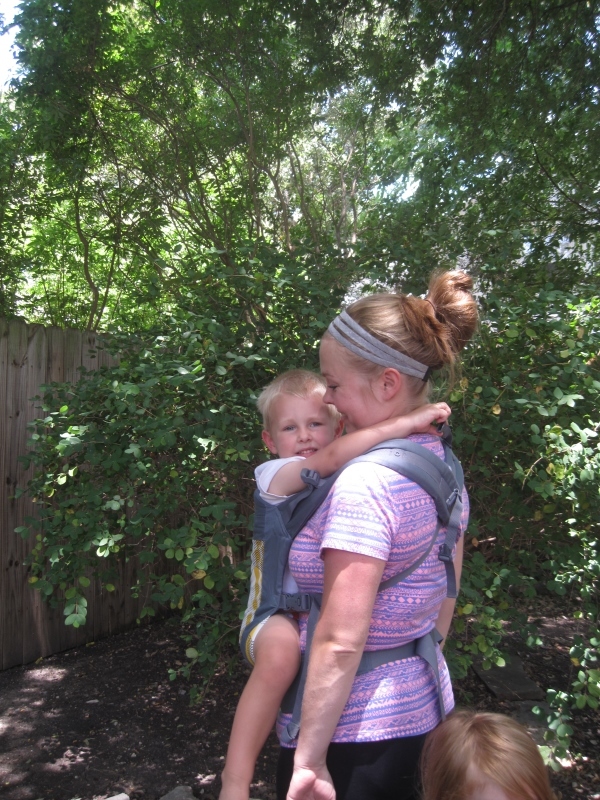 Most people find back carries to be more comfortable with bigger kids. 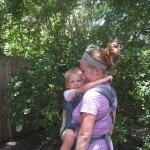 The safety rules for babywearing apply to toddlerwearing as well. One thing most parents of toddlers have probably already figured out is that they have these magically long limbs (think Elastigirl from The Incredibles!) that can reach all sorts of new things. This is true when they are in a carrier too. Keep that in mind if you are shopping or going to be near fragile, sharp or hot surfaces while wearing your child. Also, listen to your body. They are not as light as they once were, so if it gets painful, take a break. Just starting to wear again after a hiatus? Start with shorter trips and build up to longer trips. 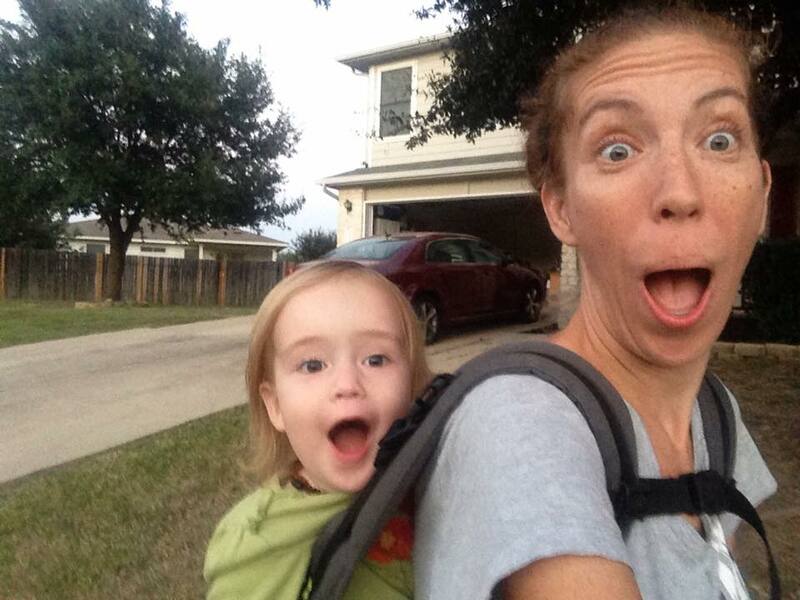 Many people find it more comfortable to wear their toddler on their backs. When first learning to back carry practice over a soft surface or with a responsible adult spotter. Depending on how old your wearee is, some even like to help by climbing onto your back (how easy is that?!). *Back wearing tip: you know that camera you like to take selfies with? 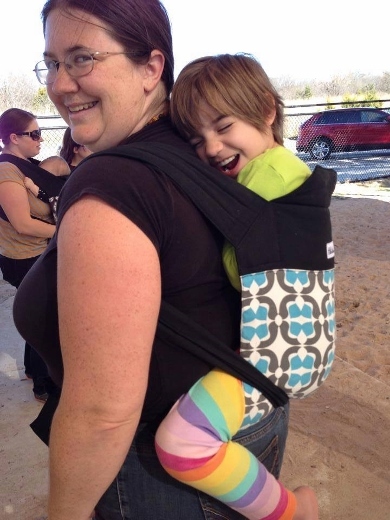 It can also be used to help monitor a kiddo riding on your back! 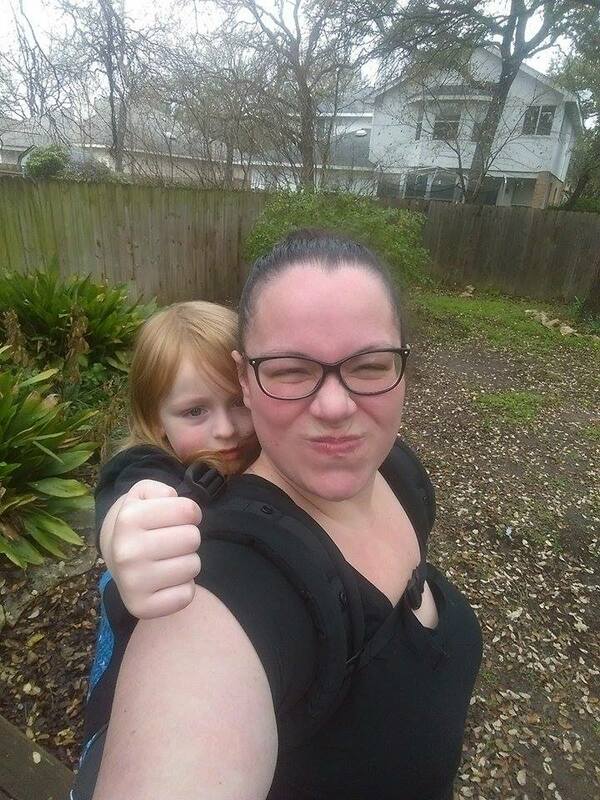 * while we’re on the subject, if you need pointers on taking a good selfie we’ve got you covered with How to Take a Babywearing Selfie. 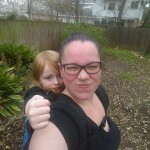 Do I need a toddler carrier? If so, how do I know when it’s time? Everyone always wants to know how old their child should be before looking into a toddler carrier. 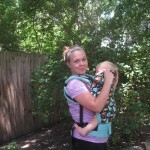 I often hear: “I have a ten month old and want a carrier that will last us, should I buy a toddler carrier?”. The short answer to this question is: probably not. Carrier size is not about baby’s age, but baby’s size. 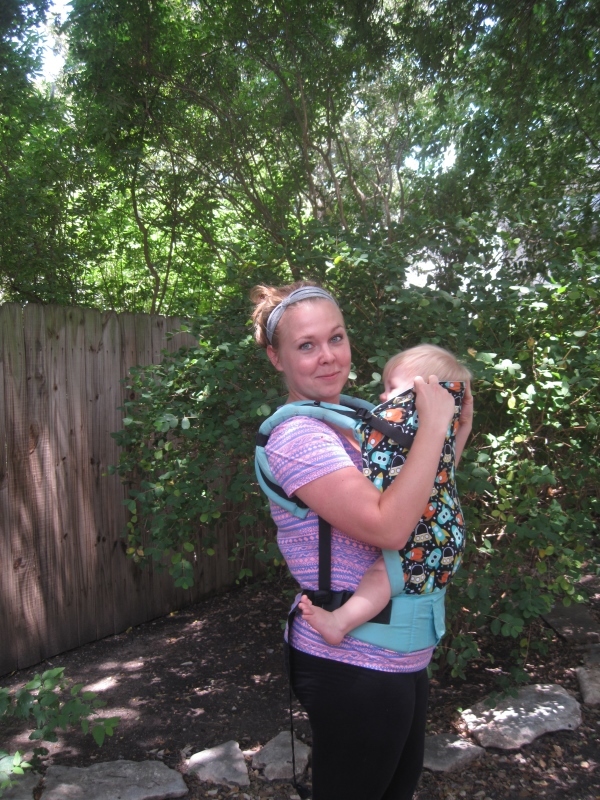 Toddler carriers are generally much larger than the standard models and preschool carriers are even larger yet. 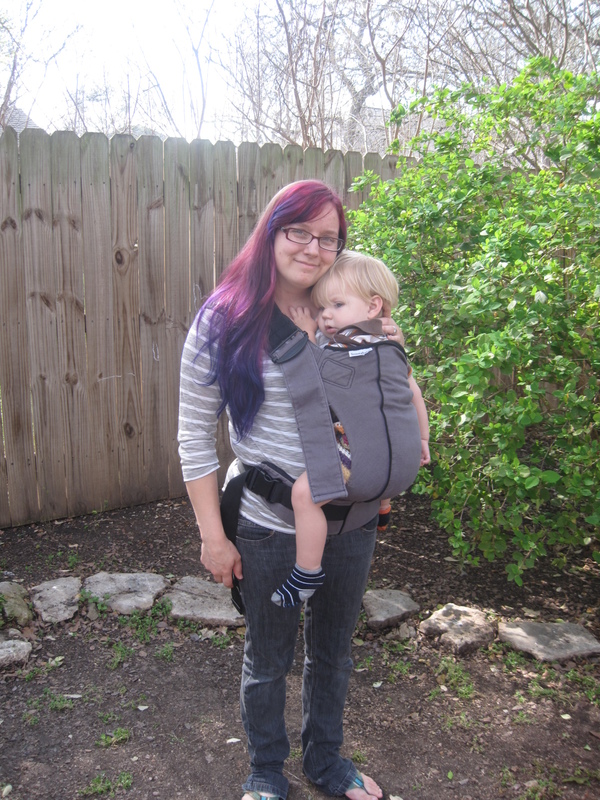 You can see in the pictures below, this 24lbs 10 month old is much too small for a Toddler Tula. We know this because the carrier comes over his head, does not support his back/spine and he is not able to bend his knees at a 90 degree angle. His three year old brother, though, is a great fit! The carrier goes to the nape of his neck and extends almost fully knee to knee! 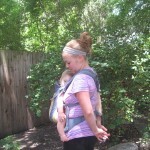 Meanwhile, the Beco Soleil, a standard sized carrier, works well for both of them. 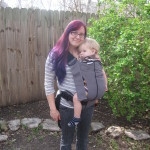 The standard sized carrier allows baby to sit knee to knee while still being visible and kissable and the carrier goes up to the three year old’s arm pits and still supports him in a seated position well. If they were going to be wearing the three year old regularly for long periods a toddler or preschool carrier might be more comfortable. This is us trying a toddler sized KinderPack with my petite 22 month old. Yeaaah, I think we’ll stick with our standard sized carriers for a while longer. 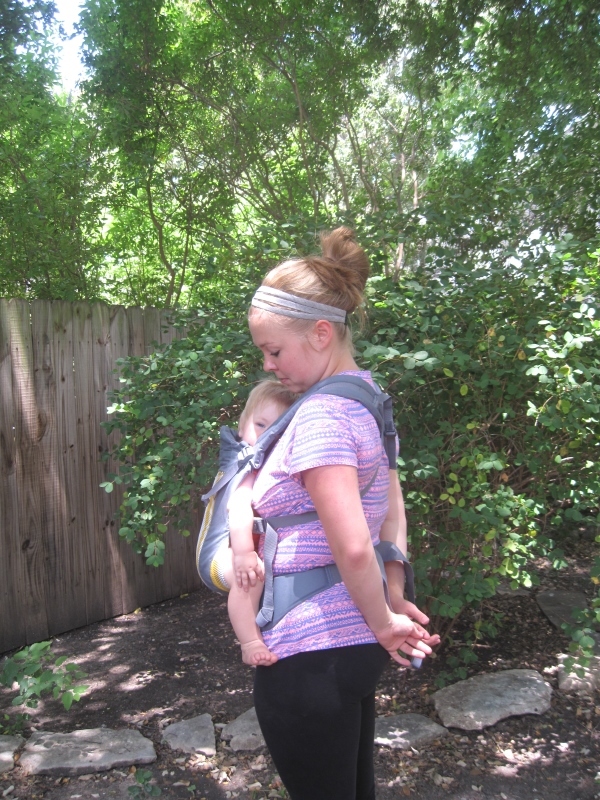 In terms of fit, we find that both child and parent are more comfortable if the body of the carrier is up to the child’s armpits and the seat is roughly knee-to-knee. Though being knee-to-knee is less important as they get farther into their toddler/preschool years. Several soft structured carriers offer stirrups or leg-extenders to extend the life of the carrier. Keep in mind that while we like to see the carrier at least up to their arm pits, we do not want it to be over their heads! 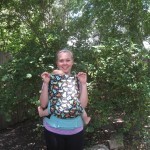 As noted above, the same safety rules apply to toddlerwearing as to babywearing, which means babies need to be visible! You can see in the picture to the right that my daughter, while every bit a toddler at 22 months, is barely visible in the Toddler KinderPack so this carrier is still too big for her and we cannot use it safely yet. Similarly, while knee to knee is important, if the seat of the carrier is too wide for the toddler it can cause their legs to be over-extended and put undue pressure on the seams of the carrier. Our family hikes at least once a week and we wanted something that is comfortable for 3+ mile hikes with a wiggly preschooler, so we invested in a toddler buckle carrier. 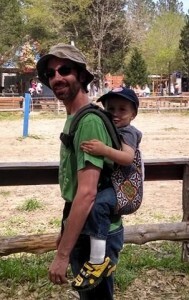 The toddler carrier is certainly more comfortable and a worthwhile investment for our preschooler when we are hiking, traveling or exploring a festival. However, we can still use our Beco Soleil or Onya we borrowed from the lending library for him in a bind. If in doubt, just make sure you are following manufacturer’s weight limits. You should be able to find this in the manual or via the manufacturer’s website. 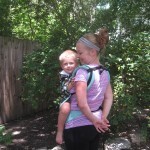 For maximum comfort for both wearer and wearee, choose a carrier that fits now. You can always size up when you are both ready and you will still get plenty of use out of them! 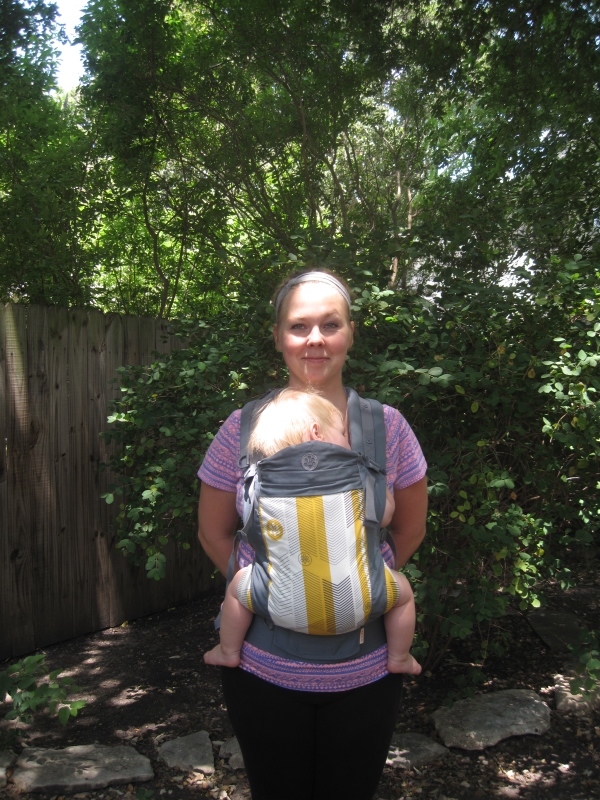 What carriers are good for toddlers? 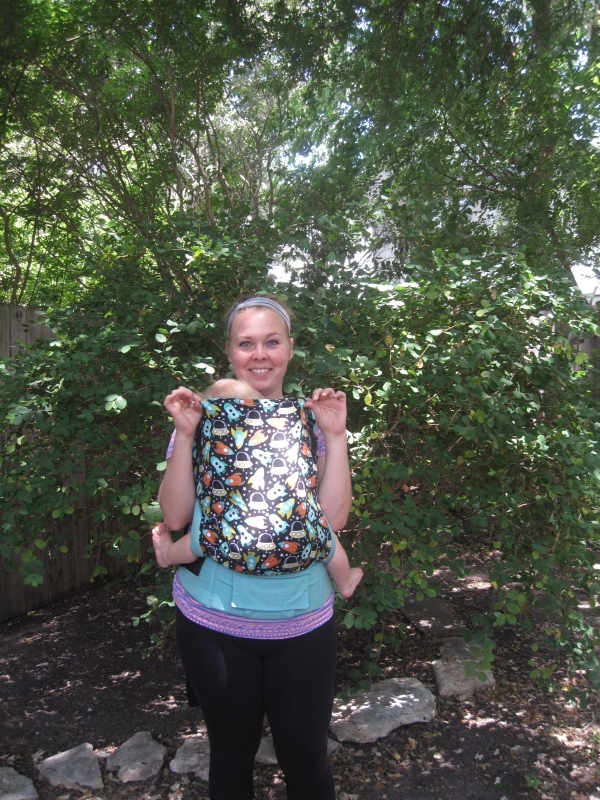 This preschool KinderPack makes all day adventures a breeze with a three year old! 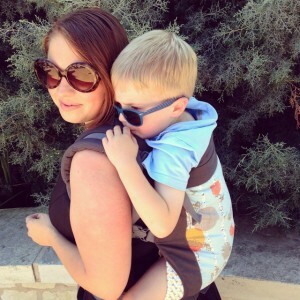 The more popular toddler carriers tend to be Kinderpack, Beco, Tula, Bamberoo, Action Baby Carrier, Kanga, Lenny Lamb and Lillebaby. However the Onya, Beco Soleil, standard Kinderpack, standard Tula, Chimparoo Multi 2.0 and even the Ergo Performance are also great options for the long-haul. 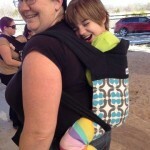 While they are not toddler carriers, they tend to be a bit bigger and last into the toddler years. 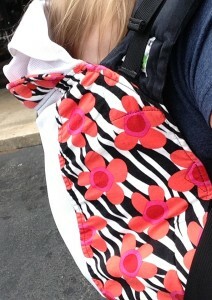 If a mei tai is more your style, some companies, like Lenny Lamb and Baby SaBye, also offer toddler sized carriers. 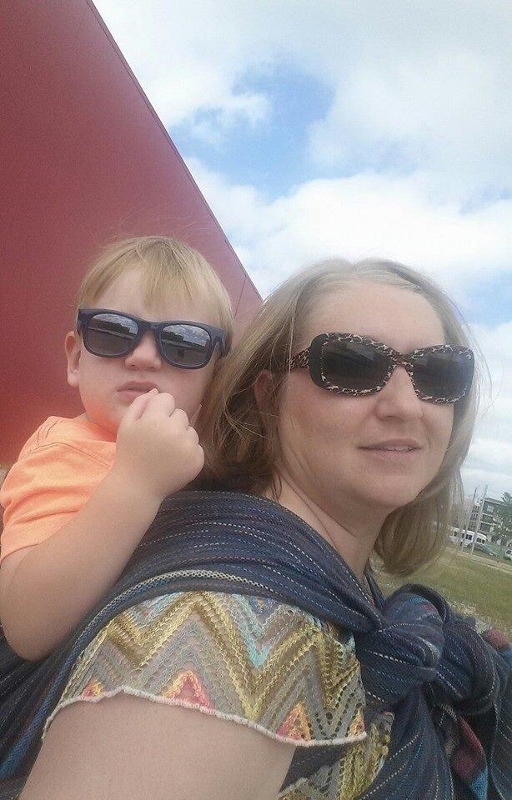 For wraps and ring slings most of our leaders here at BWI of Greater Austin tend to prefer linen or hemp blends when carrying their toddlers/preschoolers, but it is more about what is comfortable for you and your little! 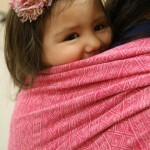 Most find wider wraps to be easier to use with toddlers and preschoolers. 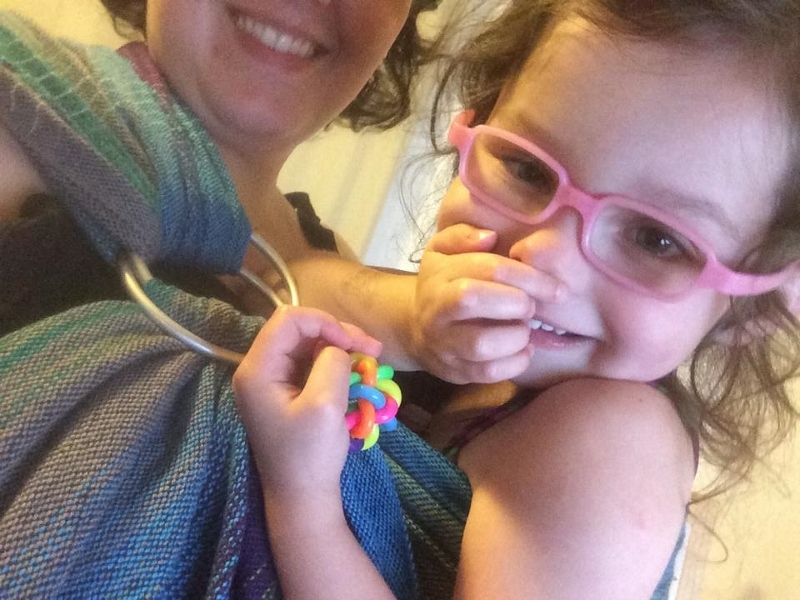 Keep in mind that ring slings are great for quick up and downs but can get uncomfortable with a heavier child when wearing for longer periods of time. There is even the Freeloader (developed by some gents here in Austin!) to help carry the little legs into childhood. 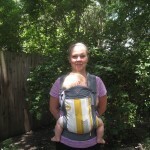 If you are planning to carry regularly well into the toddler/preschool years, there are a lot of options on the market. See the below comparisons and visit our Pinterest page to see some more options! So, what does this all mean? 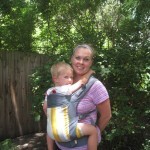 Below is a line up of many of the toddler and preschool carriers on the market. The first image is an almost three year old who is 35.5″ tall and wears 3T shirts and 2T pants. You can see that even at almost three some of the carriers are verging on too big for him. 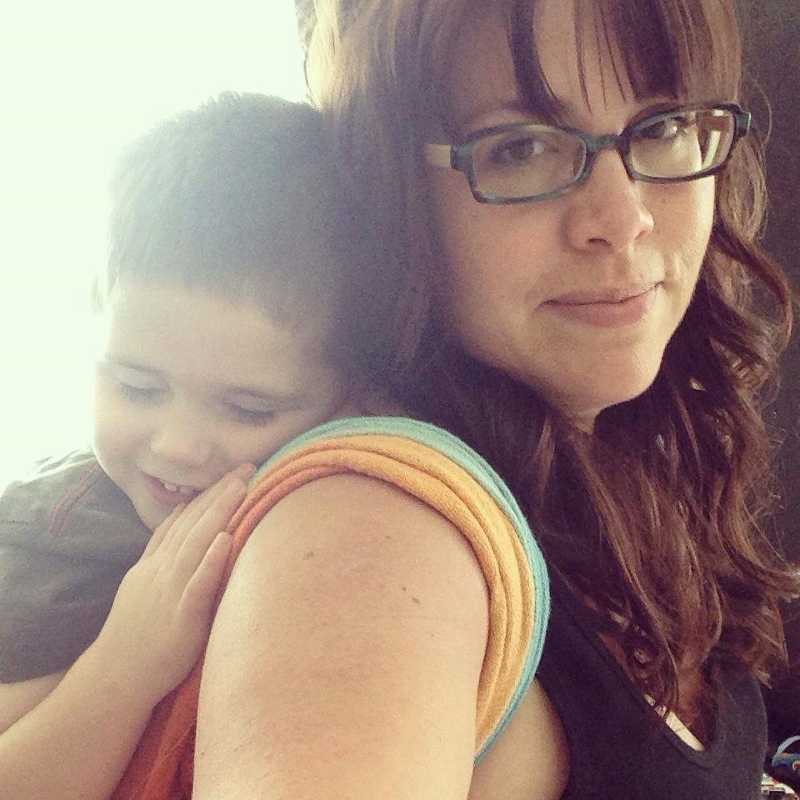 The second image is of an almost four year old who is 40.5″ tall and wears 4T shirts and 3T pants. The final image shows a Beco Toddler with a three year old, six year old and eight year old. 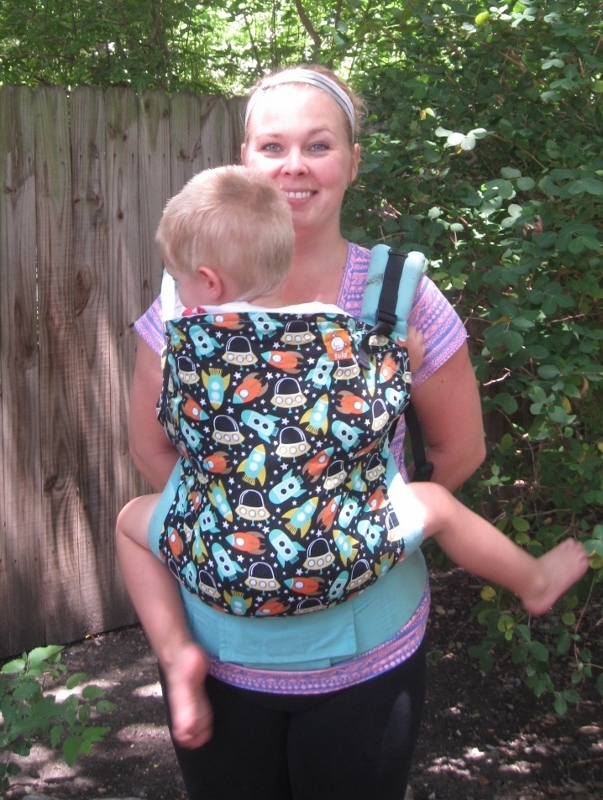 Thanks to these toddler and preschool carriers it is possible to carry little legs on more adventures than ever before. 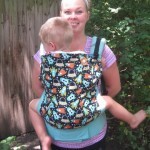 Toddler carriers will take you through the toddler years and beyond! Last but not least – Always remember to have fun! 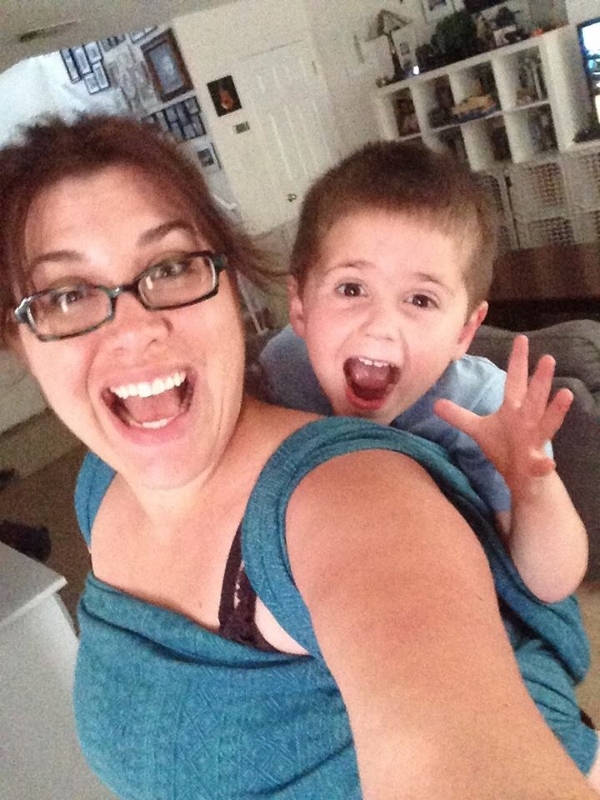 Toddlers and preschoolers don’t outgrow wanting attention or snuggles! 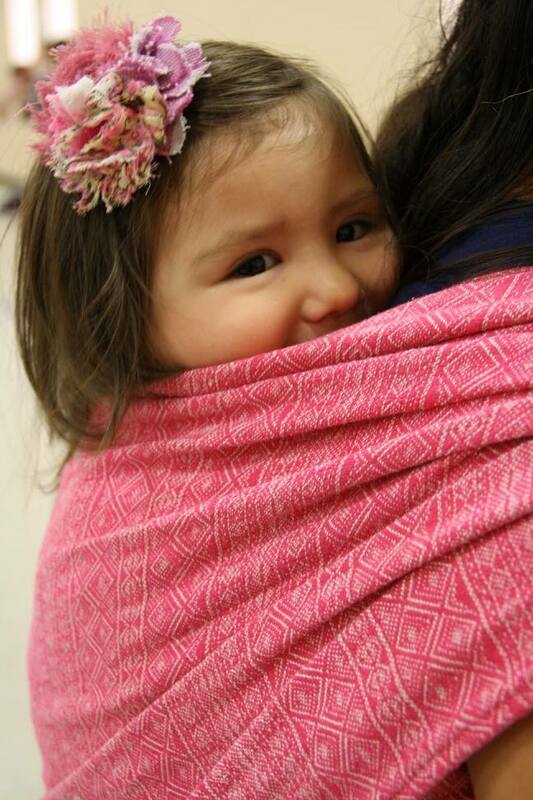 They often welcome, crave and love the closeness that toddlerwearing can provide. Almost all of our worn toddler/preschool friends love being able to easily talk and play games while being up in a carrier. They love spinning in circles, playing I-spy, and talking about the cool things they are seeing as they hitch a ride with us. They like to interact with us and see things from a different, higher perspective. 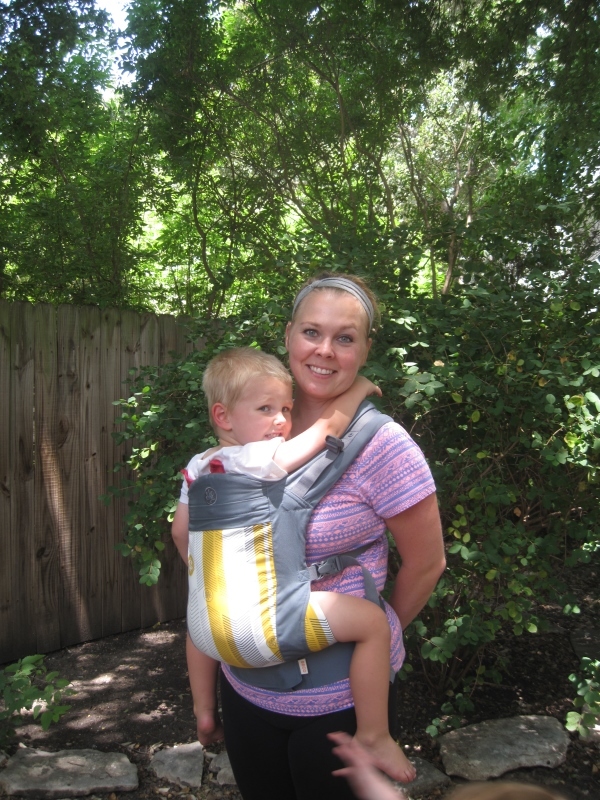 Having a carrier that will fit them handy makes life easier and less stressful for both you and your toddler. 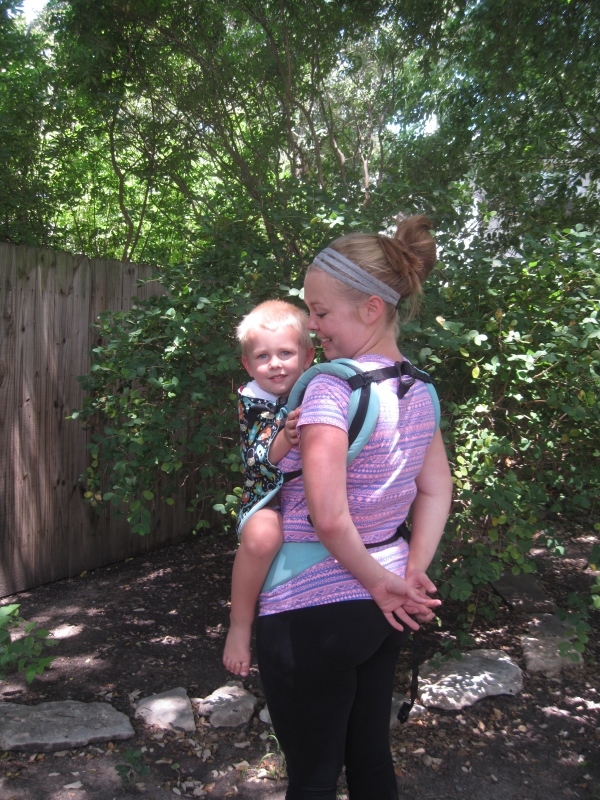 If life gets overwhelming for them, their little legs just can’t go that last mile or they just need some extra attention, a toddler-appropriate carrier can save the day! So have fun with it and enjoy the big-kid snuggles while you still can! These pictures are SO helpful! Thank you!